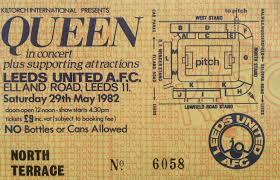 On 29th May 1982, Elland Road was bustling with the sound of thousands of people. However, they were not there for a football game. Although they are still together and tour regularly, Queen is one of the most influential and highly regarded bands to come out of Britain. 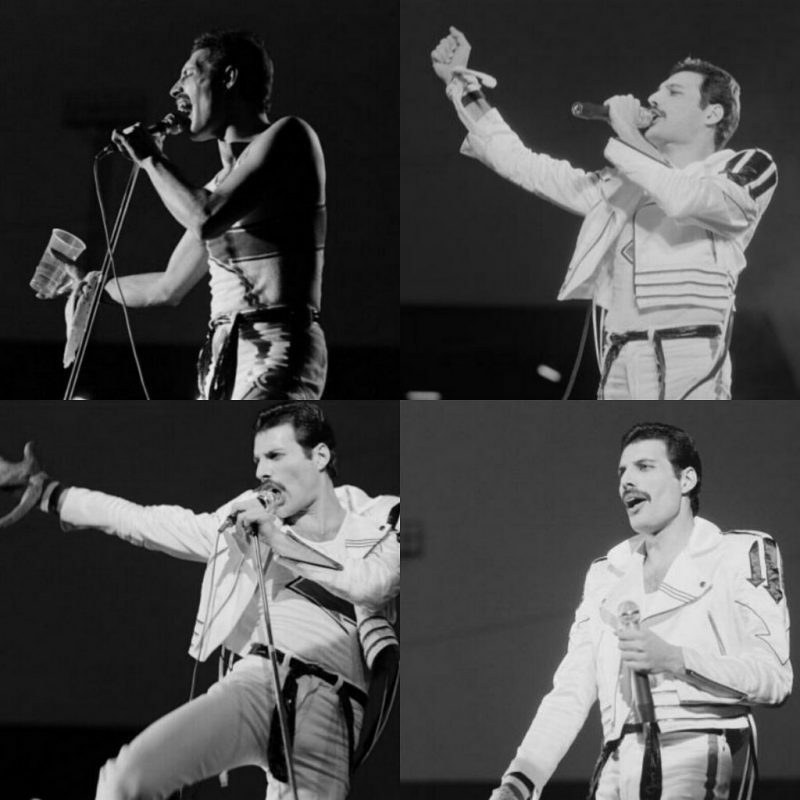 Whilst front man, Freddie Mercury was fronting the band, until his death in 1991, they were widely regarded as one of the best live performers around at the time. So when the band came to Leeds in the early 80’s it was no surprise that they managed to fill the 40,000 capacity stadium with ease. Interestingly, for this specific tour, the band were scheduled to play at Old Trafford rather than Elland Road, fortunately (or unfortunately) enough, the residents of the area surrounding Old Trafford protested the disruption the concert would make. The people of Leeds were less concerned with this and despite it “sounding as though a Concord was flying ten metres above our house,” the show went on! The concert began at 4.30pm and went on later than it was scheduled to, which meant that Queen had to pay a fine for every minute they went over. Here we have a first-hand account of the day, along with some photographs of various items related to the day! “We got a coach from my home town (about 2 hours from memory) and drank an ocean of lager on the way, by the time we got there we needed the toilet so badly we could have exploded! We got into the stadium and waited for the first band of the day. Soon enough a not very well known (to me) American band came on called Heart. They weren’t bad but did nothing for me. Then came The Teardrop Explodes who tried and who I reckoned did quite well despite the flying bottles of liquid being hurled at them from the crowd. After them was Joan Jett complete with Blackhearts who got the crowd going with “I Love Rock’n’Roll” mainly because Brian appeared at the side of the stage with his daughter to have a look.